Galeria Millan will host, from September 2 – 30, 2017, the first-ever exhibition Das mãos e do barro, curated by Aracy Amaral, co-curated by artist Osvaldo Salerno, one of the directors at Museo del Barro in Asunción, with the participation of theorist Ticio Escobar. 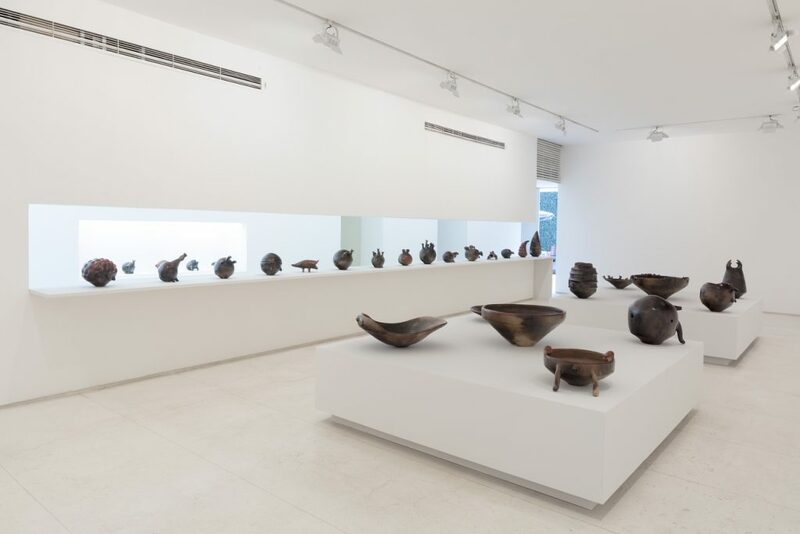 The show features 114 works by Paraguayan artists Julia Isídrez, Ediltrudis Noguera and Carolina Noguera which present the viscerality in the century-old tradition of Paraguayan ceramics for the first time in São Paulo at Galeria and Anexo Millan. 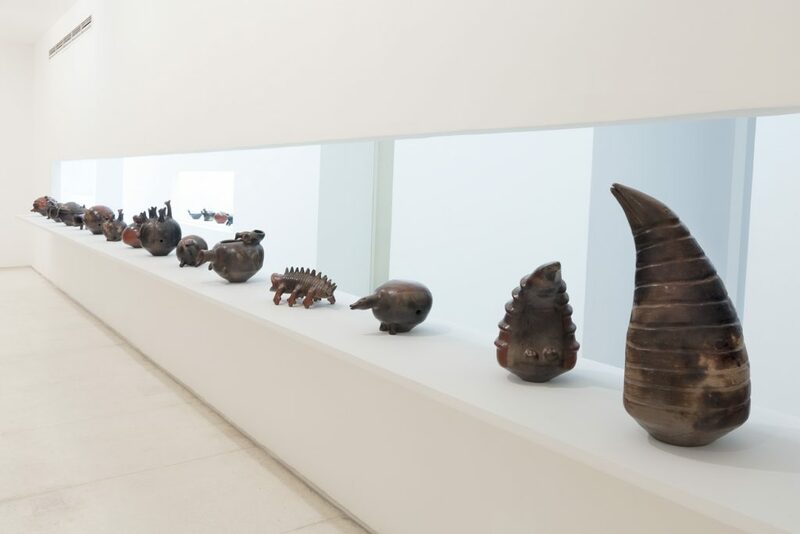 The show was conceived by Aracy Amaral in 2009 while curating the Chile Triennial of Visual Arts, when she came in closer contact with the works by these three self-taught Guarani artists who honor a century-old tradition, dating back to the pre-Columbian period, in their country of origin. “Artisans who work non-stop, having learned from their mothers, who in turn learned from their mothers, in a tradition originating from around the colonial period to present day. Women knead the damp clay and men work in basketry or woodworking,” explains Amaral. Itá and Tobatí, the hometowns of Julia Isídrez and sisters Ediltrudis Noguera and Carolina Noguera, respectively, are two centers famous for the production of ceramics made by the Guarani people who cultivate the tradition of clay art, characterized by the production of cremation urns and votive vessels. 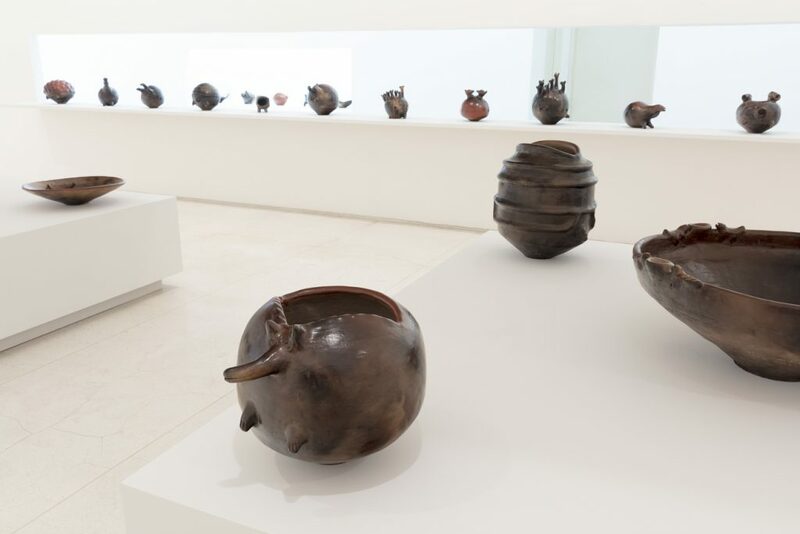 The works by the Paraguayans carry with them traces of a daily routine divided between household chores, looking after the children and the home, where the work with clay takes place by the oven and the room in which their families sleep. “The activities in the home shift, creating another dynamic, which interrupts the routine,” explains writer Lia Colombino. 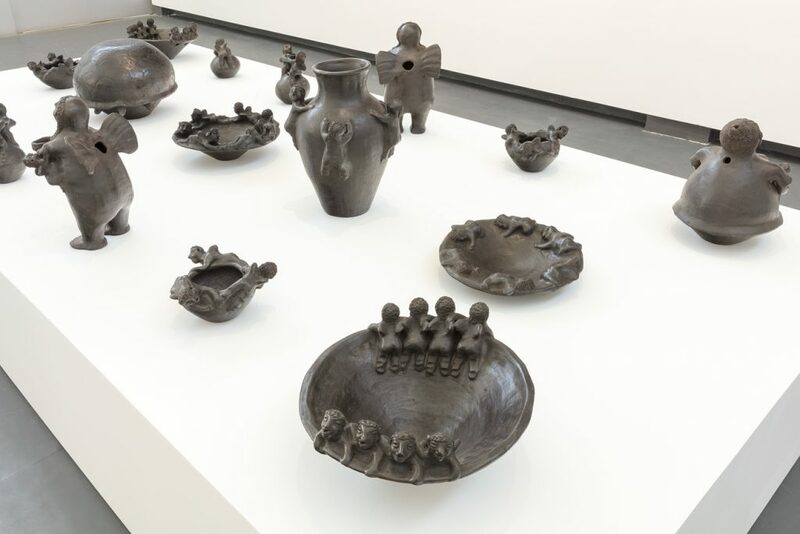 The three artists work with clay in their own unique styles and have shown their craft at important exhibitions in Latin America and Europe, including Documenta 13 in Kassel. 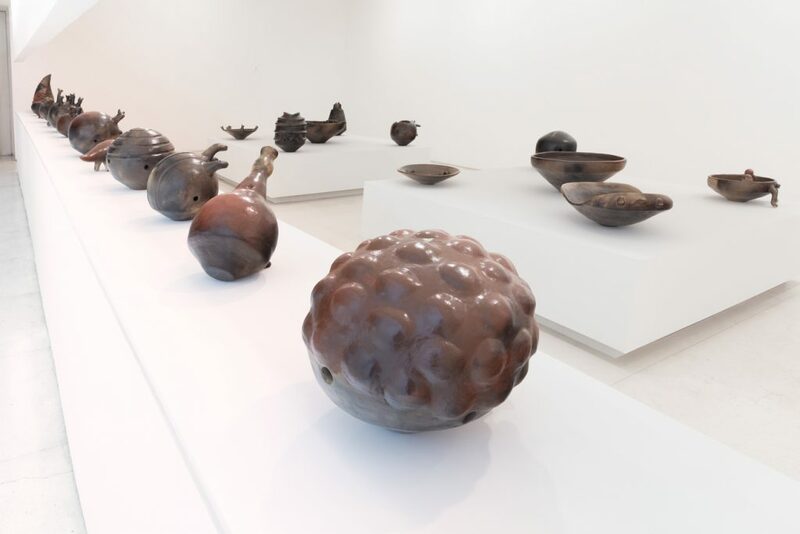 Carolina Noguera (Compañía 21 de julio, Tobatí, 1972), daughter of prestigious ceramist Mercedes Areco de Noguera, began working with her mother during childhood, following the pre-colonial hereditary tradition. At the age of 17, Carolina took an independent path, at which time she began to develop her own style, marked by human and angelic figures, which characterize her work to this day. She began gaining notoriety after the documentary Kambuchi, directed by Miguel Agüero, which premiered in 2011. 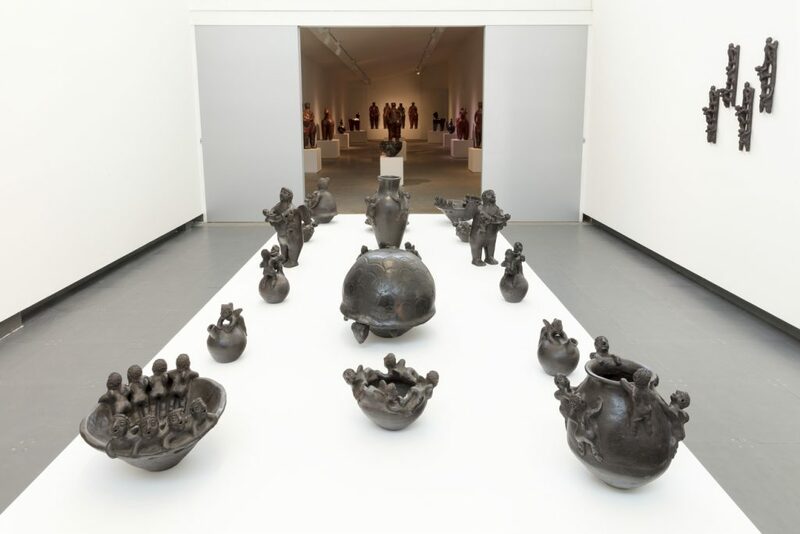 Ediltrudis Noguera (Compañía 21 de julio, Tobatí, 1965), like her sister Carolina, also dedicates her time to clay art, but her practice focuses on pitchers (drinking vessels of Greco-Roman origin) with zoomorphic or anthropomorphic shapes, featuring powerful images of bulls, horses and humans. Her home oven was replaced by a kiln for firing larger pieces. 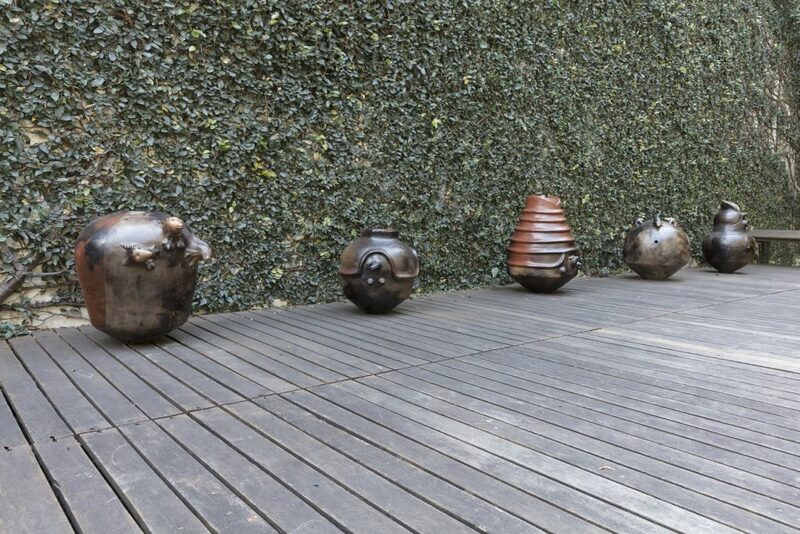 She has shown her work extensively in Paraguay and abroad, at the Chile Triennial in Santiago, for example. In February 2017, she participated in an arts and crafts workshop in the City of Antigua, Guatemala, at the invitation of the BANAMEX Development Sector, National Bank of Mexico, an event that brought together great masters of Iberoamerican Folk Art. Julia Isídrez (Compañía Caaguazu, Itá, 1967), daughter of artist Juana Maria Rodas (1925-2013) with whom she also learned, like the Noguera sisters, the craft of ceramics. Her work focuses on small pieces, often inspired by animals found in the home and in her surroundings (snakes, armadillos, chickens, ducks, fleas, spiders, bedbugs, scorpions, etc. 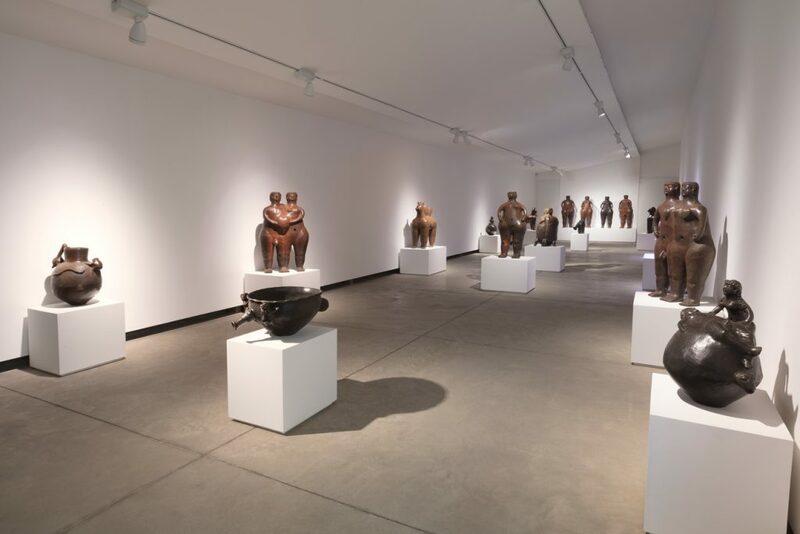 ); as well larger pieces that explore the vessel and urn formats. 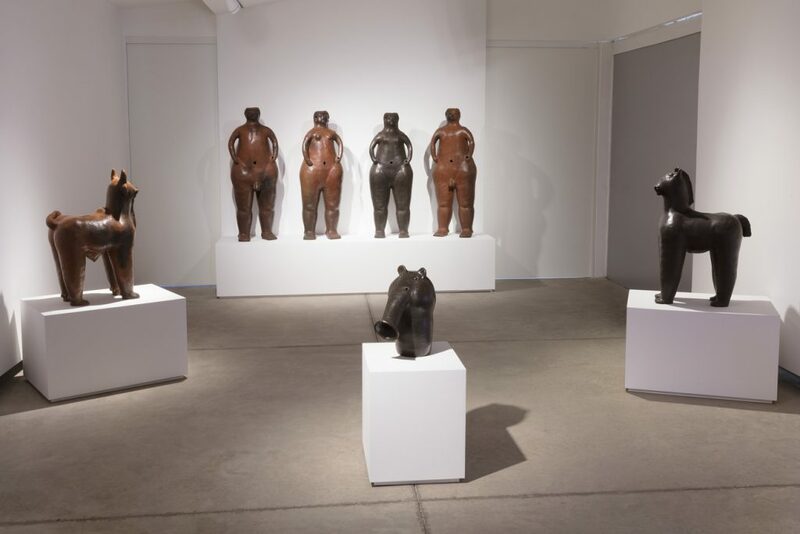 She has been exhibiting works internationally since 1976, including at the UNESCO Gallery in Paris, the Center of Visual Arts at Museo del Barro in Asunción, Paraguay (1998, 1999), the Mercosur Biennial in Porto Alegre, Brazil (1999), the ARCO Fair in Madrid, Spain (2007), the 35th edition of the International Exhibition of Traditional Arts and Crafts in Santiago, Chile (2008), the Chile Triennial of Visual Arts (2009), and at Documenta in Kassel, Germany (2013). In gathering a rich selection of works by these three artists for the first time in Brazil, Das mãos e do barro brings about an important reflection on the phenomenon of Paraguayan Folk Art as well as its expressive force that, along with the musical and industrial traditions, are acquiring new contours in an era of global communication that intensifies its creative production. 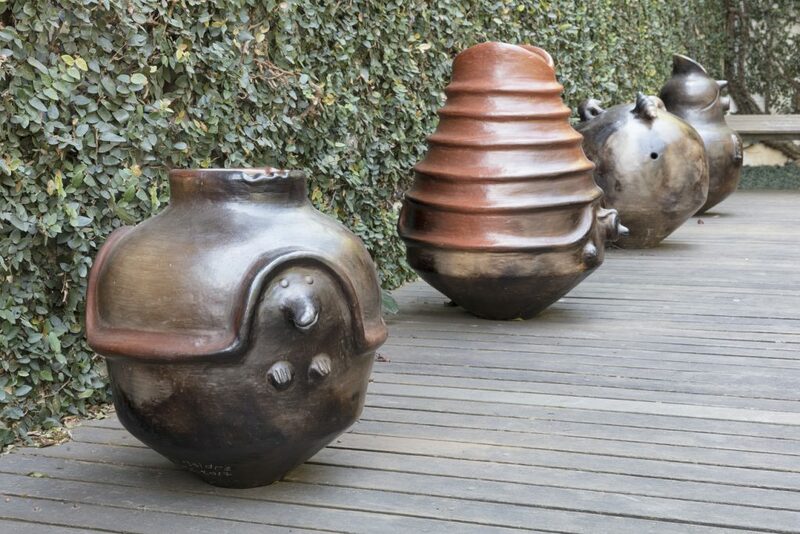 These are works that translate “the transformation of the utilitarian in face of the phenomenon of globalizing contamination into an art that is now not only featured in local exhibitions and at Museo del Barro, but also at international events and exhibitions,” says Amaral. Meanwhile, it also points to the dilemma that all century-old traditions face: whether to preserve or renew themselves, which, in attempting to meet the emergence of a market that is always eager for innovation, run the risk of disappearing. 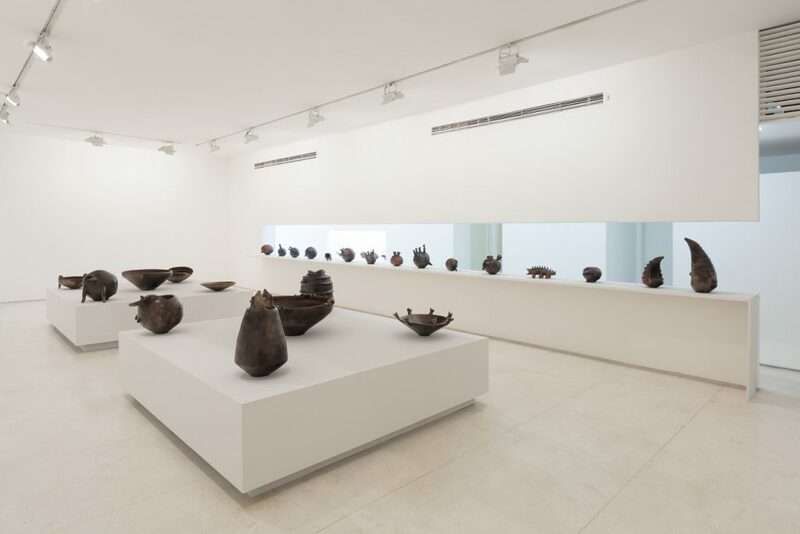 ‘Das mãos e do barro’ curated by Aracy Amaral Installation view at Galeria Millan, São Paulo, 2017.